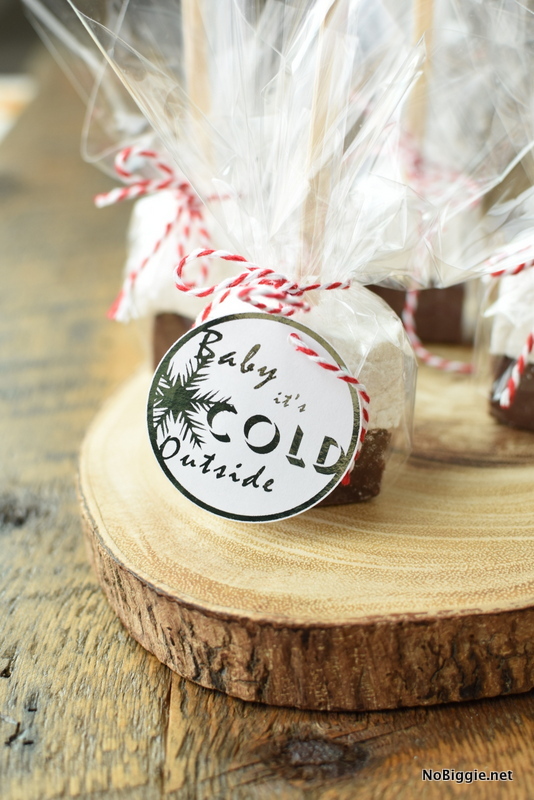 Hot Chocolate on a stick makes a festive gift, and here are four cute ways to wrap it up! 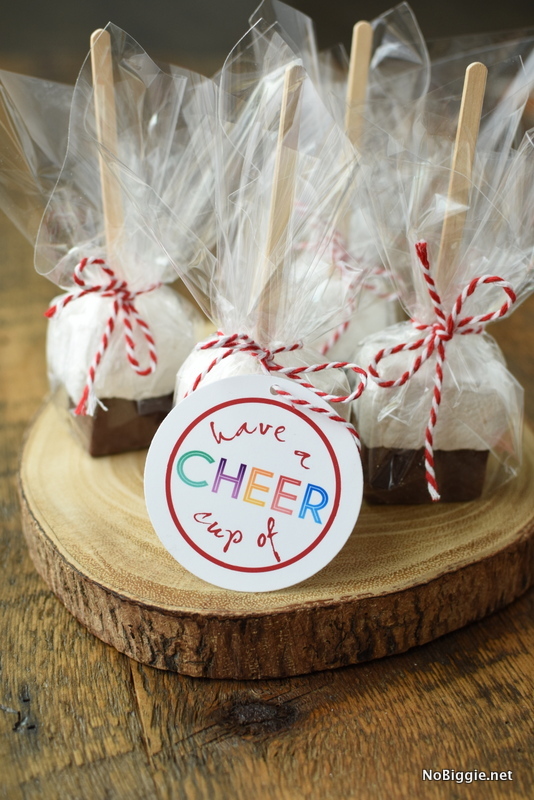 Hot chocolate on a stick makes the cutest homemade edible gift to give this time of year. For years I’ve wanted to make this, ever since I saw it on my friend Marie’s site: Make and Takes. 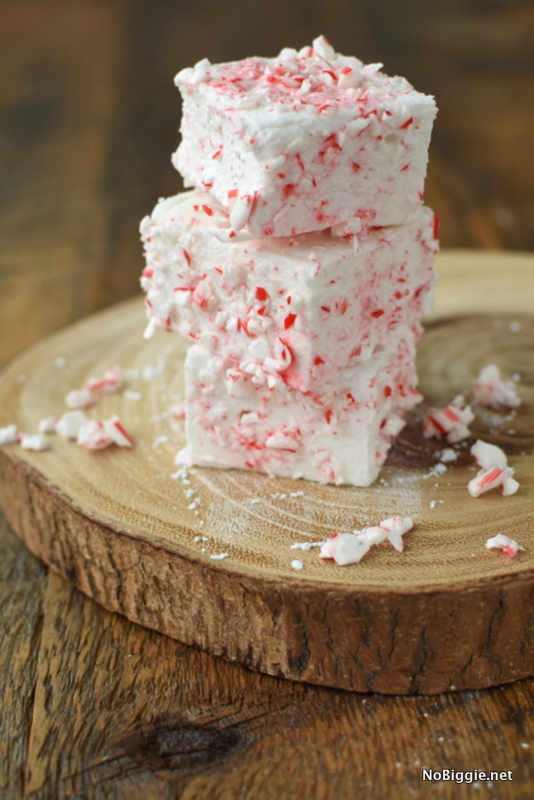 There’s just something so cute about homemade marshmallows cut into chunky squares. 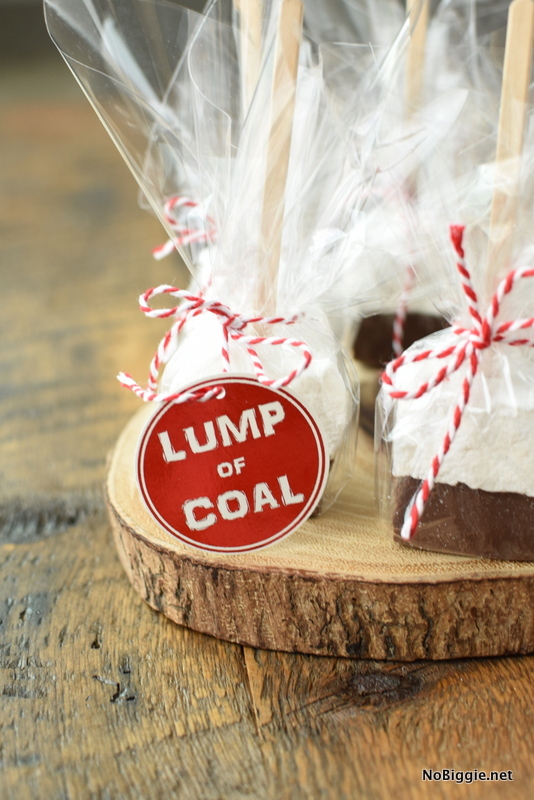 Today we’re sharing a bunch of festive ways to wrap up this sweet treat to give, and a fool proof method to make homemade marshmallows with ease. We made a little video so you can see just how to make these at home. 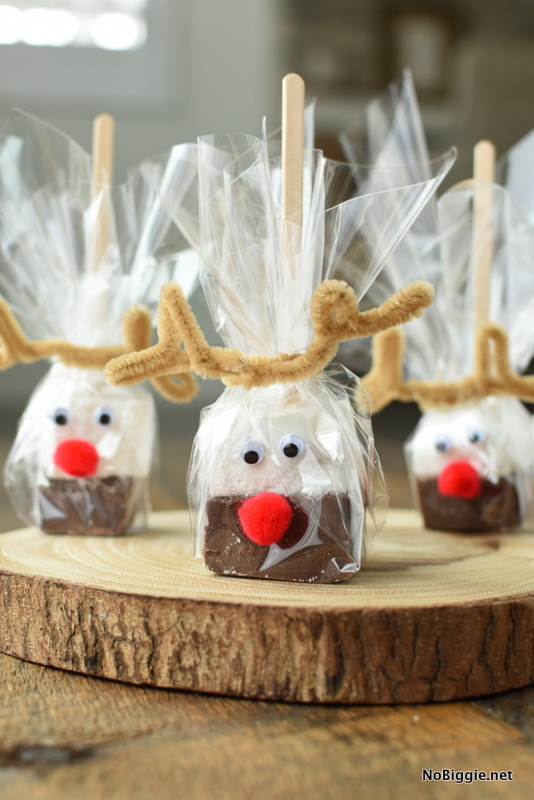 If you plan to give these to kids, they’ll probably love them wrapped up like Rudolph (see photo above). 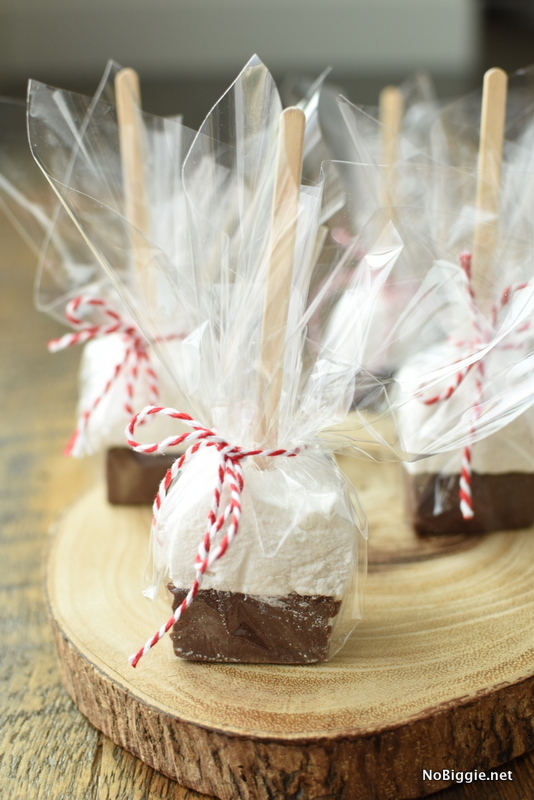 If you’re not familiar with Hot Chocolate on a stick, it’s a fun way to give the gift of hot chocolate. Just warm up a big mug full of milk (about 8 oz.) and then just dip and stir the hot chocolate stick all around in the milk, and it will soon be the most creamy delicious hot chocolate. 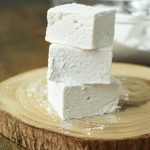 It’s hard to justify making homemade marshmallows at home, when they’re so inexpensive to buy at the store, but here’s why you should…they taste so much better! You can add in flavors to really customize them, like vanilla or peppermint. Plus you can cut them into any shape you’d like with cookie cutters, or even just simple cute squares. They last for a few weeks in an air tight container too, so you can enjoy them for a little longer. We rolled a few in crushed candy canes, and they were so good! 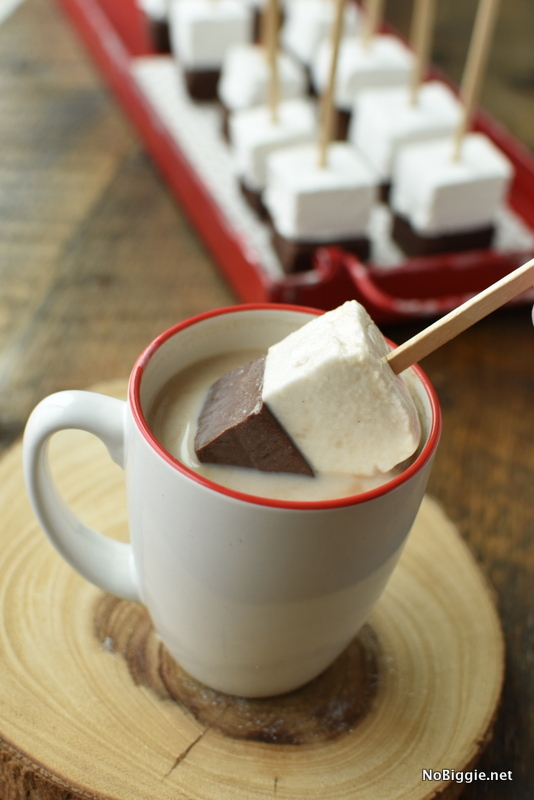 If you’re not up for making homemade marshmallows, you can still make the chocolate part of hot chocolate on a stick. 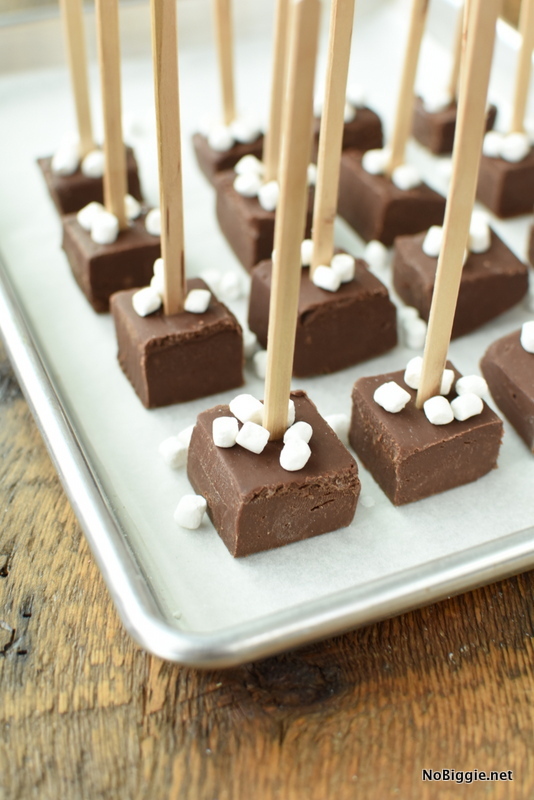 We topped these with those crunchy little mallow bits that are so good, and they turned out really cute! In a medium sauce pan on medium low heat add the sweetened condensed milk and cream and stir until it starts to steam. Continue stirring the mixture as it starts to bubble. Remove from heat and pour in all the chocolate chips. Stir and let it sit for 10 minutes or so to allow the chocolate chips to melt. Whisk together until chocolate is completely melted and combined. Pour the chocolate into the parchment lined pan and spread it evenly. Let sit in the fridge overnight until set. Remove the chocolate brick from pan by pulling up on the parchment. Cut chocolate into one inch squares. Using a hot knife to cut through the chocolate. As the knife gets messy, you can run it under hot water and dry it off with a paper towel as you go. 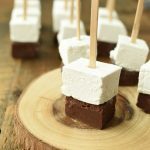 Nothing better than a homemade marshmallow! This easy recipe makes cleanup a breeze. Line a 9-by-9-inch baking pan with parchment paper, and gently brush it with canola oil. In the bowl of an electric mixer fitted with the whisk attachment, sprinkle the gelatin over 1/2 cup cold water; let stand for 10 minutes to allow the gelatin to bloom. In a medium saucepan, combine sugar, corn syrup, and 1/4 cup water. Place saucepan over medium-high heat and bring to a boil. Boil rapidly for 1 minute, then remove from the heat. With the mixer on high, slowly pour the boiling syrup down the inside of the mixing bowl into the gelatin mixture. Add the salt and vanilla and continue mixing for 10 to 12 minutes. Brush oil onto a rubber spatula. Pour the fluffy marshmallow mixture evenly into the prepared lined pan. Cover with more parchment paper that has been brushed with oil. Let sit at room temperature for 2 hours. Remove the marshmallows carefully from the pan. 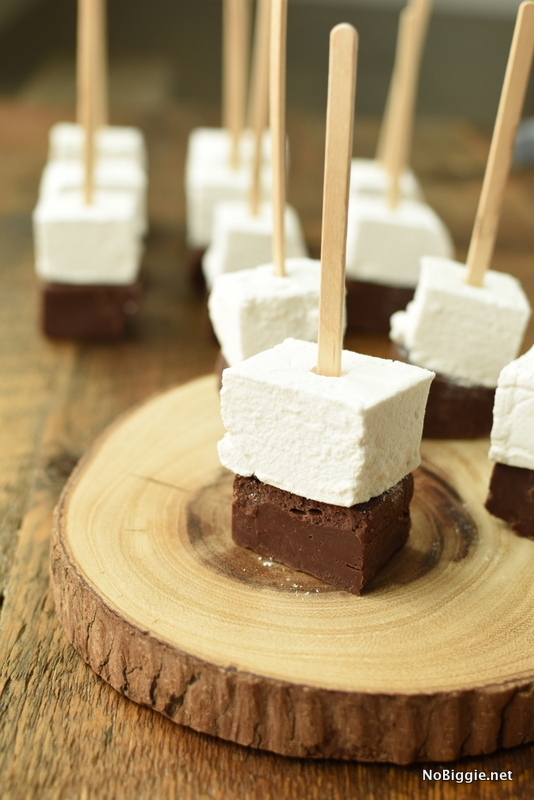 Place marshmallows on a cutting board covered with powdered sugar. Brush knife with oil to prepare for cutting the marshmallows. 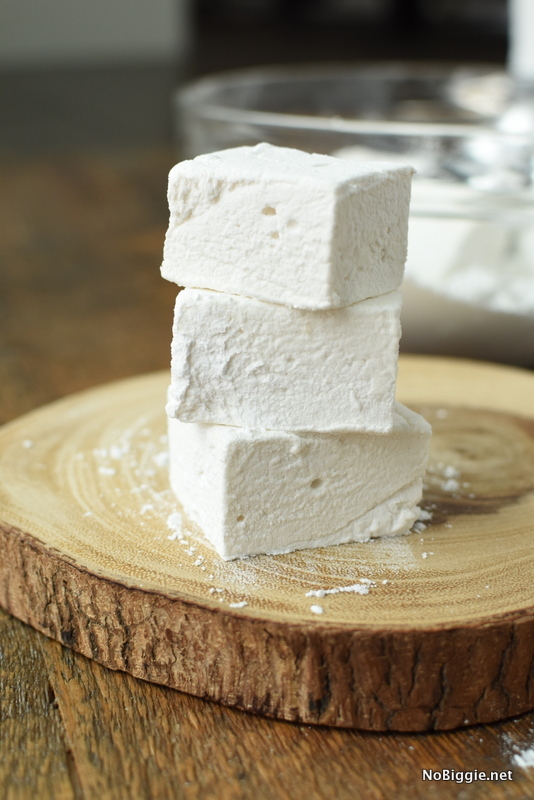 Cut marshmallows into 1-2-inch squares (depending on the size you desire). 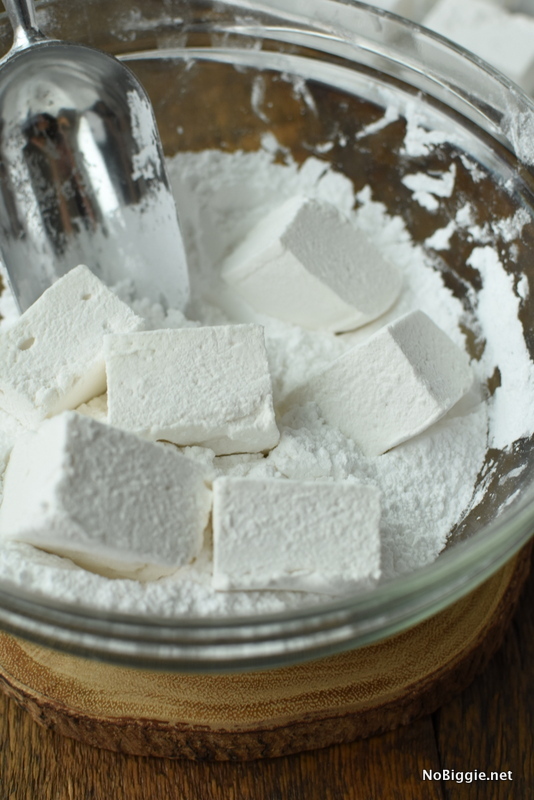 Place marshmallow squares one at a time into a bowl with powdered sugar. Toss each marshmallow with powdered sugar until well coated. Marshmallows will keep for a few weeks in an airtight container. Okay…now for the fun part…Wrap them up CUTE! 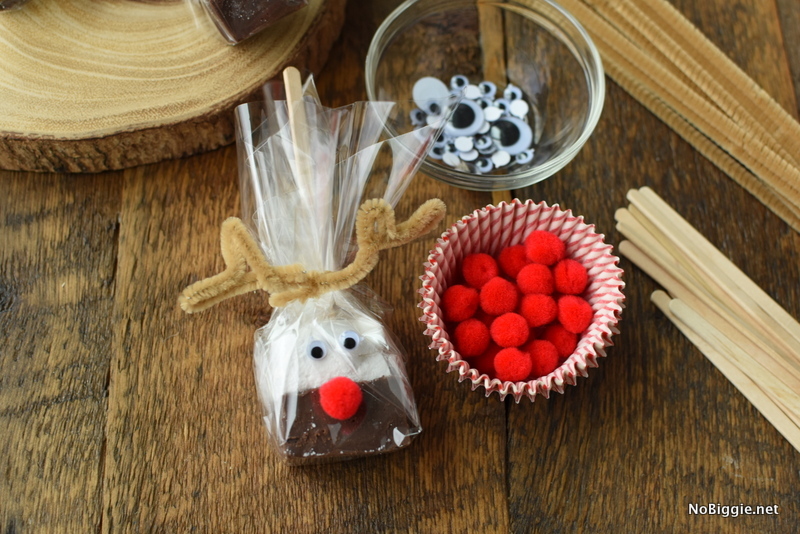 With a simple brown pipe cleaner, googley eyes, and a red pom pom for a nose, you can make a bunch of Rudolph the red nosed reindeer. 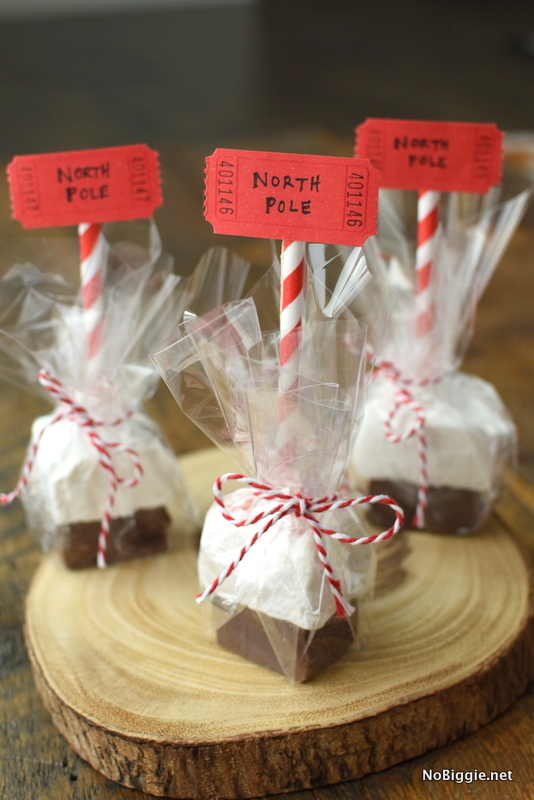 Or Hot Chocolate straight from the North Pole! 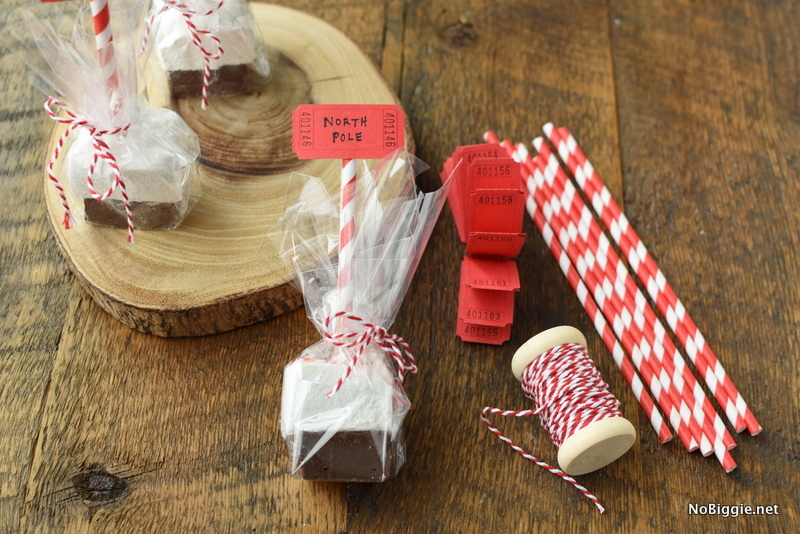 Red and white striped straws cut in half and also cut up the side to slide over the skinny wooden stick, help make a little “North Pole” tag out of red tickets with hand written sharpie letters, wrapped up with red and white bakers twice and cellophane. 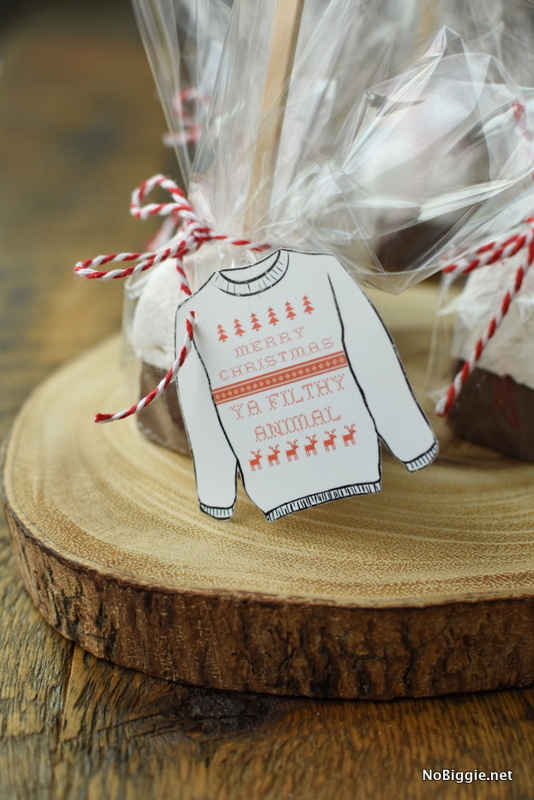 Or my personal favorite from Home Alone: “Merry Christmas Ya Filthy Animal” sweater gift tag. 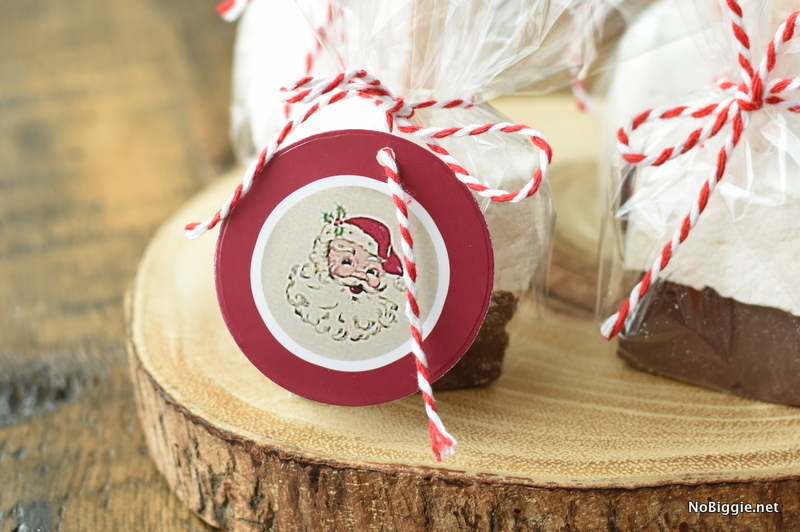 It’s a fun edible gift to make and give. 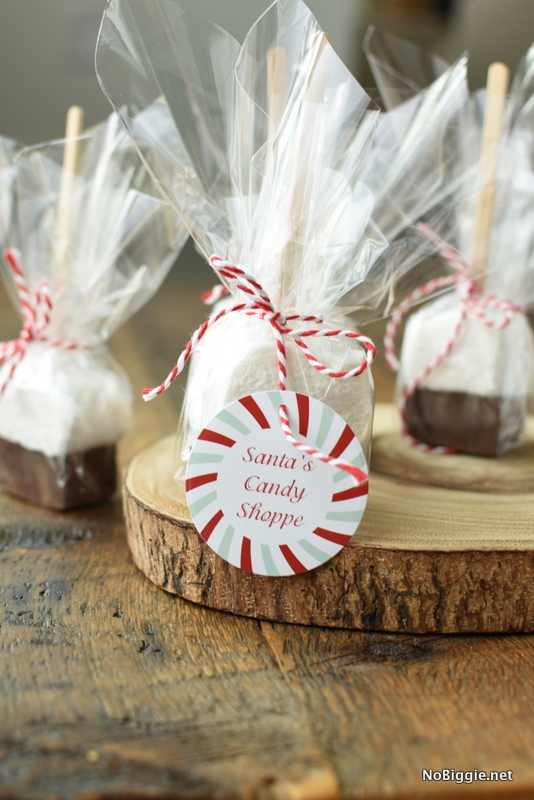 Do you love to give sweet treats this time of year too? Do they have to be kept refrigerated after making them? Hi Linda! I would keep them refrigerated until delivery. They should be ok to sit out for a few hours.